Build and secure your WordPress sites like a pro with this WordPress Build + Host Bundle. 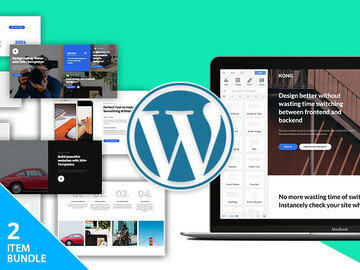 Dragify WordPress Builder is an intuitive, drag-and-drop website builder that helps you build the exact site you want, that looks great on all platforms — all without writing a single line of code. Keep your site secure with SSDPage with its enterprise-grade security. These two are bundled for only $50.